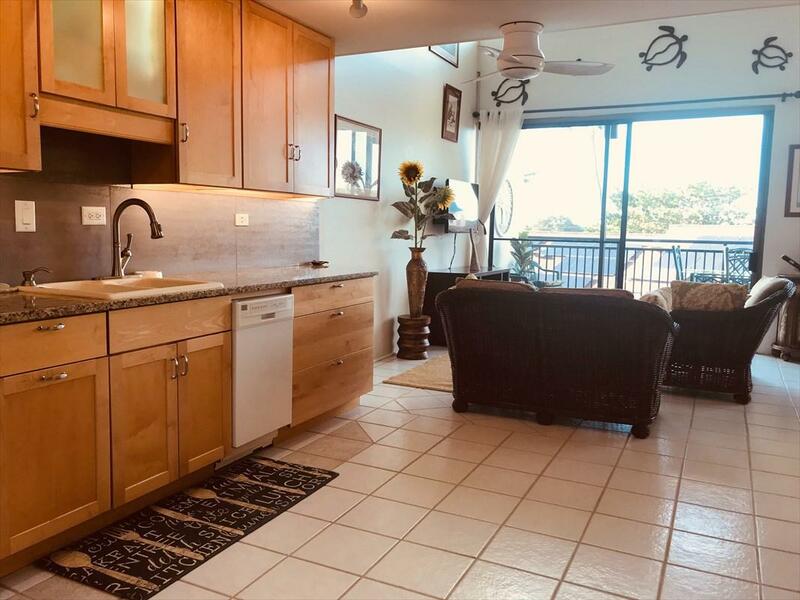 Unbeatable LOCATION and Ocean VIEWS from this Unique Remodeled 2 bedroom 3 Bath split level Penthouse on the 5th floor of Kona Alii Condominiums. Move in ready - this lovely, spacious custom built condo is Turnkey Furnished! 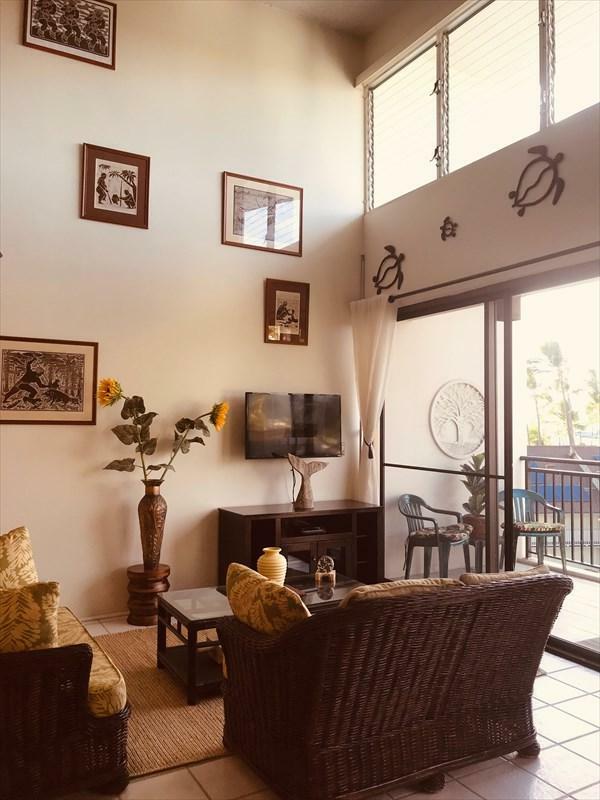 Panoramic Views over Kailua Village, up to the mountain and even a great whitewater view of the Pacific Ocean! Secure, keyed access to elevator lobby for your privacy. Gigantic swimming Pool and barbecue area 5 floors below. Kitchen has lovely hardwood cabinets and granite counters. Downstairs Master Suite has custom tile step in shower, 2 reach in closets, granite vanity. Upgraded 3rd bathroom and laundry room adjacent. Upstairs is 2nd Master Suite with newly renovated bathroom- and a walk in closet! Soaring ceilings make the entire space airy and bright. 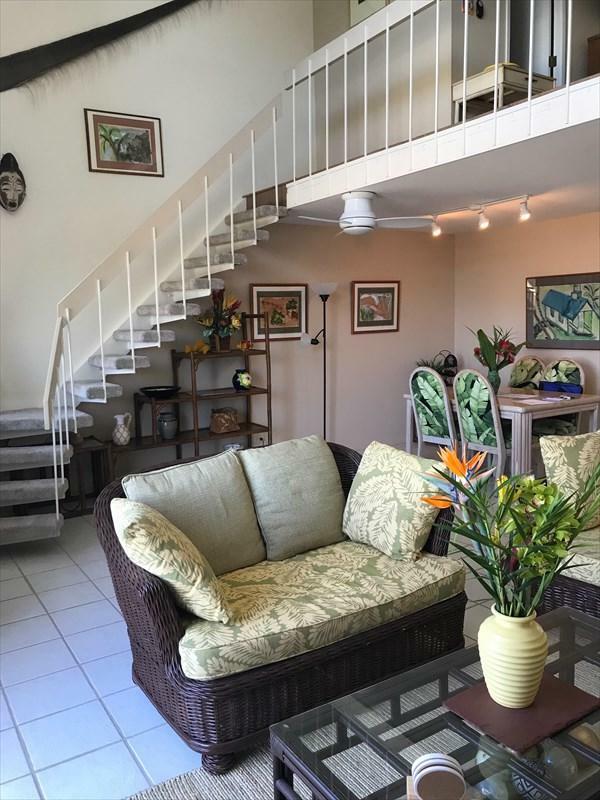 1070 sq ft of living area, and oversized sliding doors lead from great room to large lanai. Plenty of storage. Concrete building. Resident manager on site. In the last 3 years, owners have upgraded the 3 bathrooms and the kitchen- shows very well. One assigned covered parking spot and plenty of guest parking too! 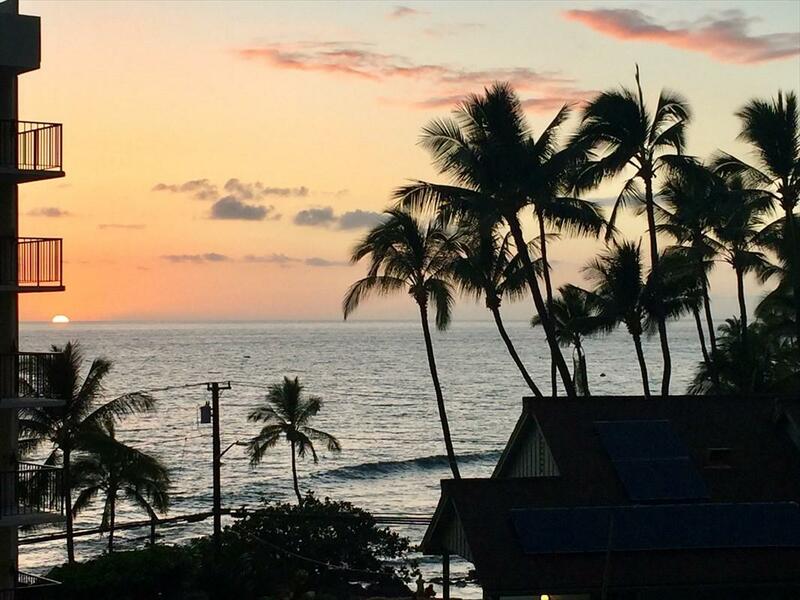 Make Kona Alii 512 your home away from home, or move right in to enjoy the Kona lifestyle!